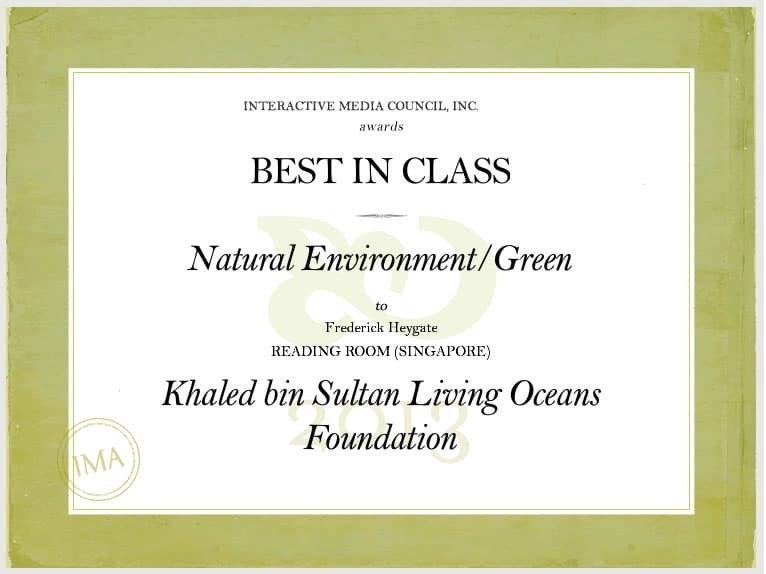 We are very happy to announce that the new Living Oceans Foundation website has Won ‘Best In Class’ at the Interactive Media Awards, in the category ‘Natural Environment/Green,’ with an overall score of 480 out of 500! The Best in Class award is the highest honor bestowed by the Interactive Media Awards. It represents the very best in planning, execution and overall professionalism. In order to win this award level, a website had to successfully pass through IMA’s comprehensive judging process, achieving very high marks in each of their judging criteria – an achievement only a fraction of sites in the IMA competition earn each year.